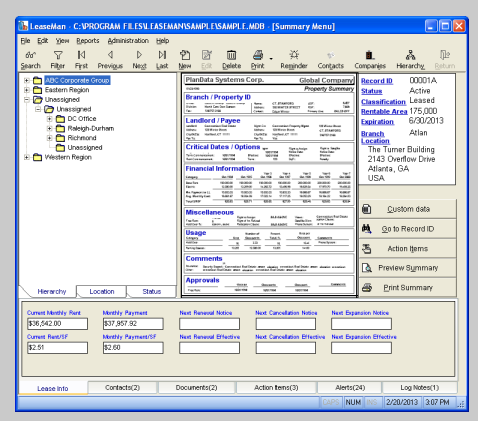 LeaseMan includes a set of tools that makes the task of tracking an enormous amount of lease-related data possible in an easy-to-use yet powerful manner. These tools have been designed for use by the executive in charge of real estate, the individuals who negotiate leases as well as the staff in charge of managing leases. Features include: critical date tracking, automated alerts and contact and document tracking and reporting.